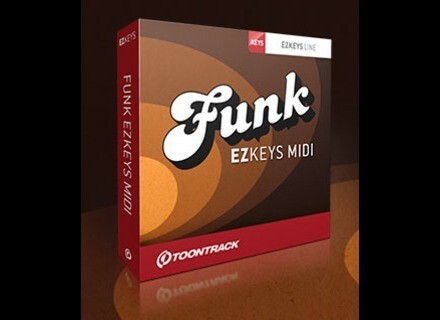 Funk EZkeys MIDI, MIDI-File Bank from Toontrack in the EZkeys series. 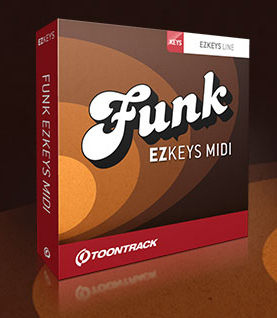 Users of the Toontrack EZkeys virtual keyboards can now get a funk MIDI library with pre-programmed chord progressions and phrases. Funk EZkeys MIDI can be used with all the EZkeys electric and acoustic pianos. All the chord progressions and phrases are played straight/swing in 4/4. The library is organized in song structures and you'll also find a dedicated riff section. You can listen to audio demos at www.toontrack.com. -20% off Soundiron vocal libraries Soundiron celebrates Spring with a one week special offer and 20% off all their vocal sample libraries.